Apple Music vs. Spotify, Tidal, Deezer, Google Music and more | What Hi-Fi? Apple has launched its streaming subscription service, Apple Music. We've gathered its chief rivals to see how it stacks up against the competition. Apple Music has finally arrived to strike fear into the hearts of Spotify, Tidal and the rest of the streaming industry - and provide us all with another streaming service to choose from. Set to launch on 30th June, it will shake-up the streaming music landscape like no other service. And with the iTunes music behemoth behind it, complete with hundreds of millions of existing users, Apple Music is bound to be an enticing prospect for any existing Apple user. And that's a lot of people. Not sure which one to go for? Deezer, Rdio and Spotify let you use their basic services for free, but with occasional advertisements. Qobuz offers a free 15-day trial for Premium and Hi-Fi tiers, while Google Play Music and Tidal offer 30 free days. Apple Music, however, offers a whopping three-month free trial. Spotify Free, Spotify Premium £10 Spotify Family £17.99 for two accounts + £5 each for a 3rd, 4th and 5th family member. Streaming subscriptions have really moved on in the last few years, and you can’t go wrong on any of these. If your tastes are fairly mainstream, it's likely you'll find pretty much all your music on any of the services. However, exclusive content is likely to play a bigger and bigger part in differentiating between streaming service - so if you love Taylor Swift, for example, it's worth knowing she’s not on Spotify, but you’ll find her on Tidal. A lot of people would be totally fine with lower quality streaming during a noisy bus ride. If you'll also be using your streaming service to listen at home, however, the jump to higher quality may well be worth the extra outlay. Currently only Tidal and Qobuz offer CD-quality, lossless audio streams. The beauty of streaming is how convenient it can be. When choosing a subscription service, you’d better make sure you can use it anytime, anywhere. The market-leader Spotify has a serious advantage here, integrated with a wide range of specialist AV products, as well as working on the usual platforms. Spotify Connect also allows you to stream from Spotify's servers straight to your AV device, using your phone only as a remote not as the source. Spotify also integrates with a wide-range of hi-fi products from brands such as Cambridge Audio, Bose, Denon, LG, Onkyo, Pioneer and many more. Standing out from the crowd will be increasingly tricky but whether it's lossless audio, exclusive videos or concert tickets, each service is trying to do something different. 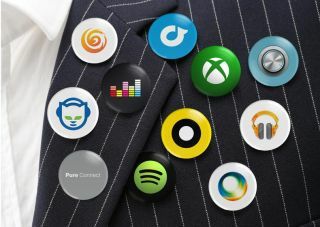 All the services have the basic features - from offline playback to making playlists - but what sets them apart? Apple's main perk will be its integration with iOS devices, the new Music app being embedded as part of the iOS 8.4 update. Furthermore, while the streaming libarary isn't the same as iTunes' huge library, you will be able to neatly integrate your own downloads with the streaming app. Secondly, Beats 1 - "the world's first 24/7 worldwide radio station", and free on iOS - will aim to draw people into the Apple Music world and in turn step-up to become a paying subscriber. Much like Tidal, Apple will no doubt look to use artist power to get people interested, with exclusive content likely. With Drake on stage at the launch event and Zane Lowe part of Beats 1, it's likely Apple - still a major source of revenue for artists and labels - will be able to rely on plenty of superstar help. If you're a Sonos user, then Deezer's option of CD-quality streams - Deezer Elite - is available to you, which is a definite perk. Deezer Flow is a clever way of creating a personalised radio station at the touch of a button, streaming a mix of your saved library, playlists and suggested tracks, which works rather well. There are further curation tools, such as the 'Hear This' tab for suggesting new music. There's a decent selection of ways to suggest new music, such as 'I'm Feeling Lucky radio', but the real perk of Google Music is the way you can upload your own music to the cloud. Do it once and Google will then allow you to access and stream your tunes on any other device with a network connection. This allows you to fill any gaps in the streaming service's library and give you a huge amount of music at your fingertips in one app. It also removes the need for a NAS device in your streaming system at home - though your tracks will be limited to 320kbps MP3. It's easy to argue that Qobuz is the audiophile's choice. As well as lossless audio streams, it's the first service to offer high-resolution audio streaming, though currently only on Android. There's also the Qobuz Sublime subscription plan, which offers a mix of streaming and high-res downloads at an all-you-can-eat price. The name Rdio comes from a mix of radio and audio, so it's perhaps no surprise the radio option on Rdio is a strong one. Offering your own personalised station, there are good curation options - choose how adventurous, i.e. random, you'd like Rdio's algorithim to be, for example - and the option to kick-start a new station based on an artist. Social sharing is neatly integrated and there are a wide-range of supported devices. As one of the longer-established services, it's a solid bet. The market-leader will still beat the upstarts for strength-in-depth when it comes to music requests a little off the beaten path, while a recent update has seen news, tickets, videos, podcasts and more integrated into the app to keep its feature-count ahead of the pack. The very fact it's far and away the most popular service helps keep people hooked, too, making it the most obvious way to share music (don't mention YouTube) between friends, on websites and more. While Jay-Z's star-studded US launch may have been met with a level of derision in certain quarters, many of Tidal's features have since been borrowed by Apple Music and Spotify - from video content to buying concert tickets. Tidal is pushing hard on exclusives - music, videos and live concert streaming - albeit with a slant towards rap and hip-hop, and of course it still has its Tidal HiFi lossless audio option has a feather in its cap. Editorially curated playlists, including playlists from Jay-Z, Beyonce and more, also help set it apart from the alternatives.